Are you wondering how on earth you’re going to fill 6 weeks of summer holidays for your primary school aged children?! Well, let us give you a hand! We’re very excited to be running ‘Going Bananas‘ every morning from Tuesday 21st to Friday 24th August. The club will start each morning at 10:00am, finishing at 12:30pm. 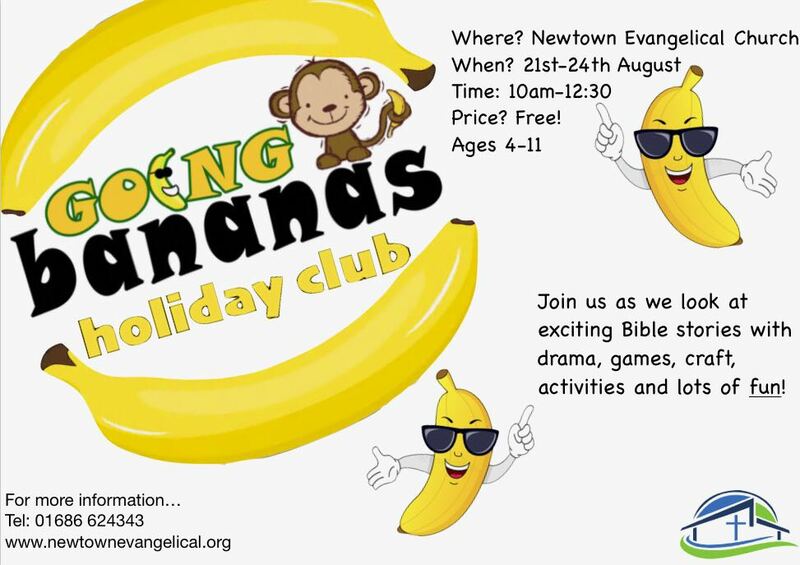 Join us as we go bananas, looking at exciting Bible stories and having loads of fun!! 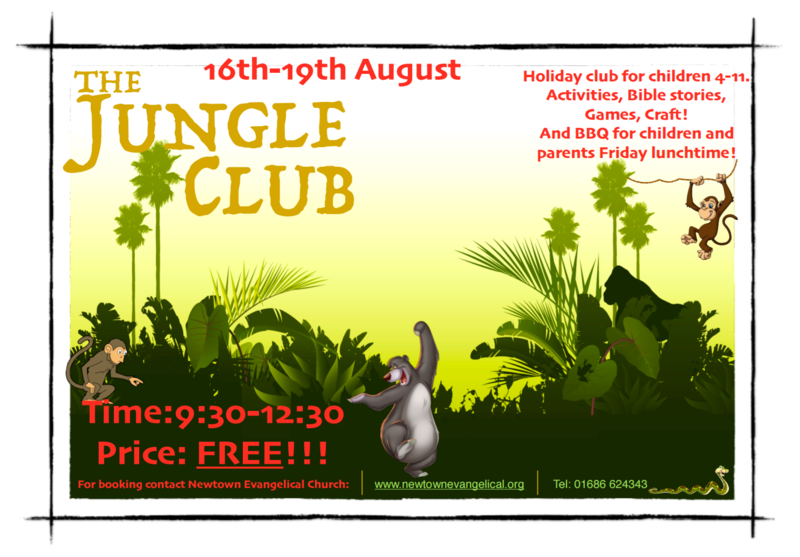 We’ll have quizzes, crafts, games, snacks and a BBQ for parents/guardians at some stage during the week. All of this is absolutely free! Don’t worry if you can’t make it to every day, just let us know the days you’ll be there. The club is open to all children aged 4-11. For more information, please contact us here, via our Facebook page, or call us on 01686 624343.